Lastly, preventing your child from changing system settings, especially when it might override other parental controls. We are not going to look into #3, since this is system specific. However, #3 boils down to revoking administrator privileges from your child, and making sure your administrator passwords are secure. Depending on whether your parental controls are done at the computer level or at the router level, you will want to control administrator privileges on either the router/computer or both. The DNS Request: The browser asks the Router for the IP Address of “www.addictinggames.com”. The IP address, such as 23.63.226.145 is returned to the router and then to the Browser. The Browser communicates with 23.63.226.145 and asks for the HTML and other content on the page. Also, If there is content that requires a plugin, such as Flash for flash games, then the browser starts that plugin. The Windows/Mac/Linux “hosts” file is to override the “DNS Lookup” process. Typically, when you type a URL, the computer asks a router for an IP address. However, you may specify the IP address associated with the URL in the hosts file. Thus, instead of www.addictinggames.com going to 23.63.226.145, you can have it go to 127.0.0.1 . Since this address is incorrect, the browser will be unable to access the page. Open the host file by typing “sudo nano /private/etc/hosts”. You will probably need to type the administrator password. Note, the password will not appear as you type it, and type enter when you are done. Type control-x to quit nano. Note. This is the most effective strategy, but it is the most expensive as well. Configure the firewall to allow applications you typically use. There are several ways to do this. One way, often the default, is to manually run programs and “allow” them to access the internet. The second way is to configure the firewall to automatically allow traffic through in all cases. This process especially various a lot between firewall applications. Next, configure your firewall to block outgoing connections TO the website you are trying to block. If you want to block only web browser access, but allow other programs to access the website, then block port 80. For example, if you would not want your child browsing to AIM.com, but would be fine with them using AIM, then block AIM.com at port 80. This should work instantaneously, and your browser should no longer be able to access the website. 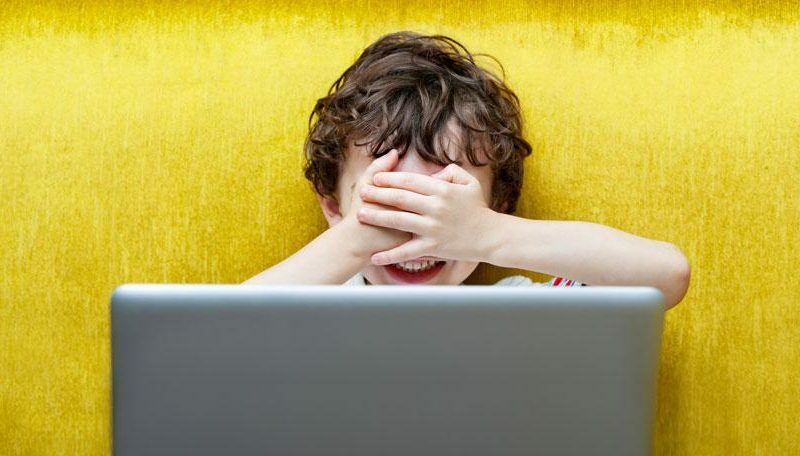 While the previous two techniques have to be applied to every computer the child uses, you may choose to block websites directly at the router. Depending on your router manufacturer, this process has varying levels of success. Block the browser entirely or uninstall the browser entirely. We will discuss application blocking more in the Games section. If the game is protected by some kind of DRM, the game may start a second application (such as in the case of Steam games). DRM games will then verify that the application was not pirated. This requires the DRM software to connect to the internet, and blocking this is similar to web blocking. Many games at this stage will begin using lots of resources such as CPU, Memory, and the graphics card. Restricting these in some way can significantly impact gaming. Multiplayer games will typically also connect to the internet at this point. Blocking this is similar to web blocking. Because some games need fast internet connectivity, slowing down the internet at this point can also make the game unplayable. This may not work if your child is allowed to install applications. Using Windows / MacOSX parental controls, block an application from running. Additionally, you may try uninstalling the application. Finally, you may try deleting files in the application directory of the game. This will corrupt the game installation, making the game unplayable in many situations. However, it will often not require uninstalling the game entirely. This testing can be triggered by the presence of an application. Thus, the tester can reduce computer speeds only when another application is found. Some firewalls, such as Netlimiter, also offer bandwidth limit techniques. Additionally, on MacOSX and Linux, you may try “sudo ipfw pipe 1 config bw 15KByte/s” to create a pipe that only allows up to 15KB/s to go through. Then, execute “sudo ipfw add 1 pipe 1 src-port 80”, and all outgoing traffic on port 80 will be limited to 15KB/s. This is all traffic that goes to a website, although you may add a different port besides 80 to filter specific games. Finally, “sudo ipfw delete 1” will remove the pipe from the port. Thanks for your blog post. Things i would like to add is that personal computer memory ought to be purchased if the computer cannot cope with what you do by using it. One can set up two RAM boards with 1GB each, for instance, but not certainly one of 1GB and one of 2GB. One should make sure the car maker’s documentation for one’s PC to be sure what type of storage is required.